The first English translation of the Balinese Romeo & Juliet. Publisher: Luzac & Co., 1958. First edition. Condition: Hardcover, with dust jacket. Near fine. Slight soiling to dust jacket, otherwise fine. App 1-” by 7″. 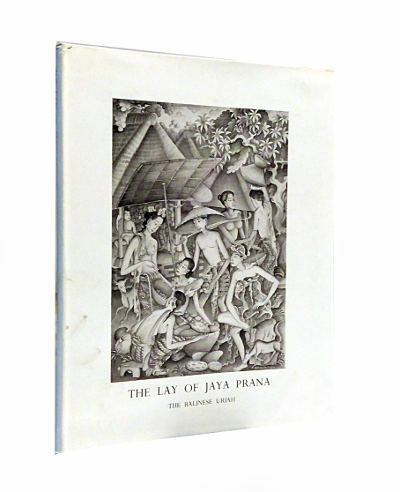 An English translation of the Balinese ballet Jayaprana Loyansari, a tragic love story about Jayaprana, a solider who falls in love with flower seller Layonsari. They plan to get married, until the king meets Layonsari and becomes infatuated with her. 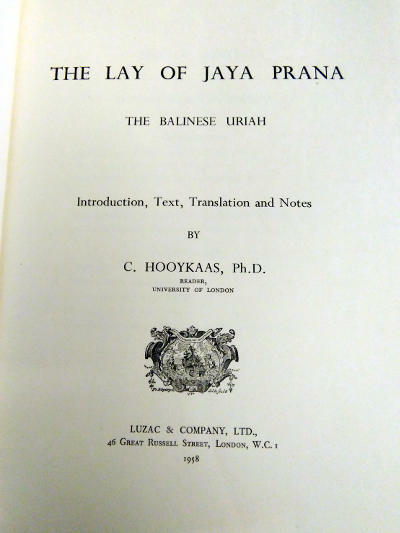 He kills Jayaprana to make sure the marriage never happens, and Layonsari, learning of her lover’s death, commits suicide. Legend has it that the lovers are buried side by side at Teluk Terima in West Bali National Park, which has become a pilgrimage site.